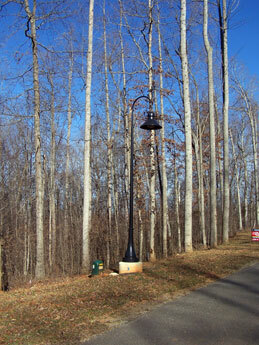 For Sale: LakeWatch Plantation – Smith Mountain Lake Lot 34 Waterfront Lot – Woltz & Associates, Inc. The Blue Ridge Mountains is the home of this beautiful lake. We have four very mild seasons, with the best being the summer. Smith Mountain Lake is known for its water sports, slow pace lifestyle, and fishing. It has been featured on ESPN. It is a five minute boat ride to restaurants, shopping, dancing, cocktails, arcades and putt-putt, ice cream, and several marinas. By land, hop on your golf cart, bike or walk and enjoy the restaurants, the bank, the brand new YMCA, or the shopping. The grocery stores, gas stations, entertainment areas and all shopping are only a two minute drive. If you like the laid by lifestyle, this is the place for you. If you get a craving for a faster pace, Roanoke is only 30 minutes away, and they offer everything. 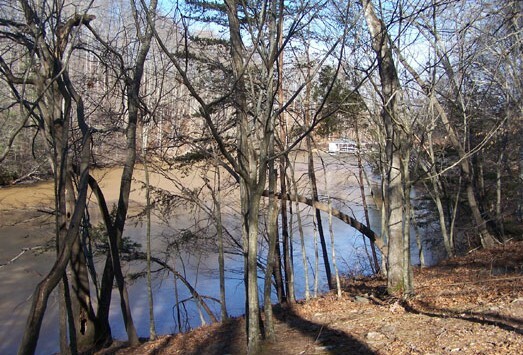 The lot is wooded with a nice slope to the clear, deep water. It would be perfect for a walkout basement, and no need for steps to the water. It is in one of the lakes newest developments. We are ready to make this worth your while. We are offering some owner financing. Plan a road trip down and we will show you around by car and boat!